I’ve been continuing my journey down the whisky rabbit hole throughout 2014, and Yamazaki is easily my favorite whisky thus far. 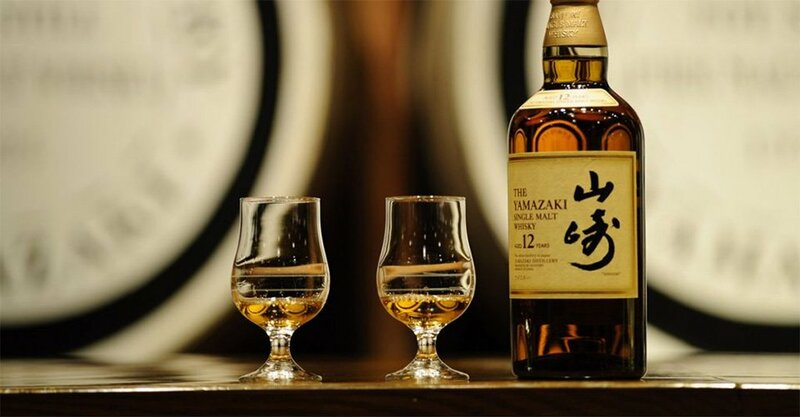 When the Yamazaki Single Malt Sherry Cask 2013 was given the title of the best single malt in the world a few months ago, I decided that it was about time for me to venture outside of the Brittish and Scottish whiskys and give the Japanese ones a shot. The Yamazaki Single Malt Sherry Cask wasn’t available on Systembolaget, so I opted for the less distinguished (and significantly less expensive) Yamazaki 12 Year Old. I’ve been continuing my journey down the whisky rabbit hole throughout 2014, and Yamazaki is easily my favorite whisky thus far. It has a fruity and floral taste with a hint of nut, and the palette is very smooth and soft. In other words, it’s right in my wheelhouse. Perfect for those cold winter nights.